MANILA, Philippines - 48 minutes was not enough for both Meralco and TNT to decide their fate and needed 5 more extra minutes just to send the series to a do-or-die game. 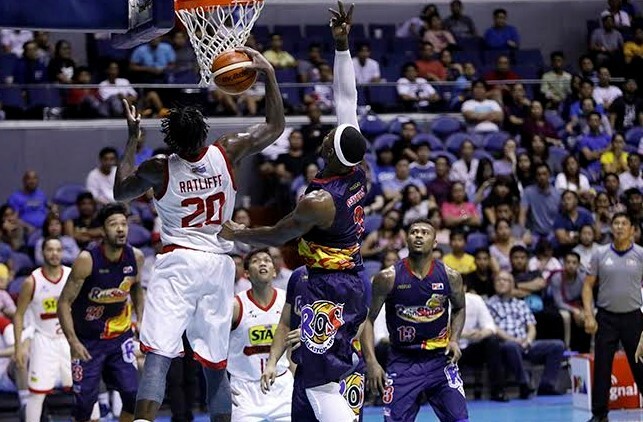 Star Hotshots on the other hand, swept Rain Or Shine Elasto Painters to face San Miguel Beermen in the semis on June 7 at the Smart Araneta Coliseum. Earlier, The Star Hotshots had already made their way to semifinals against their sister team San Miguel Beermen after ending Rain Or Shine’s Commissioner’s Cup campaign where import Ricardo Ratliffe bagged a rare 20-20 with 26 points and 24 rebounds seconded by Paul Lee with 13 markers. 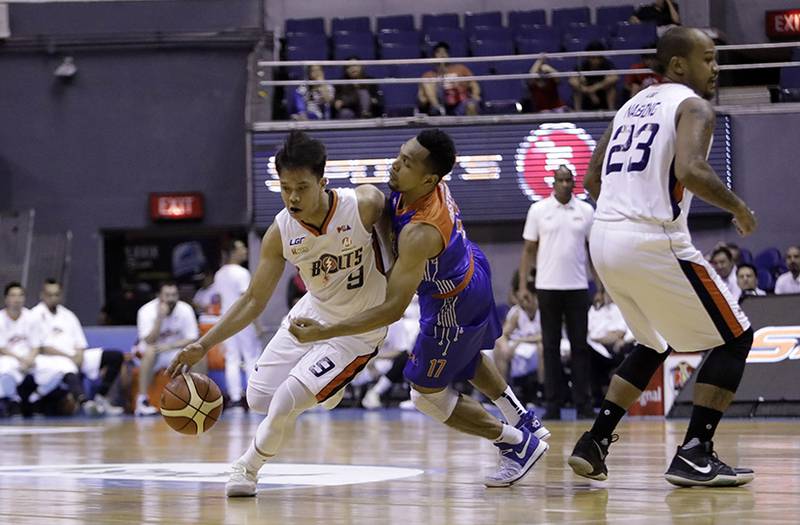 Meralco Bolts who were downed 0-1 coming to Game number 2, wanted to extend their conference against TNT Katropa by way of leveling the series. Right at the start of the opening tip off, the Bolts initiated the onslaught and led TNT 16-2 with 6 more minutes left in the period. Alex Stephenson however, got into early foul trouble by committing his 3rd personal foul that paved a way for Katropa’s big men Joshua Smith and Kelly Williams to penetrate the middle for an 8-4 run. Coach Norman Black in spite of having the height disadvantage of his local lineup on floor and with his import nursing his fouls on the bench still had the luxury to play a terrific 1st quarter basketball led by Cliff Hodge with 7 and Baser Amer with 6. Meralco was ahead by 19 points, 32-13 over TNT. The absence of Stepheson was felt by the Bolts at the start of the second. With only a minute, TNT managed to bring the lead down to 10 with all points coming from the unprotected shaded lane. 8 minutes had already gone by and Bolt’s lead was trimmed to just 8 points and still there was no sign of Alex Stepheson to protect the middle from the hulking Joshua Smith and Kelly Williams who just demolished the undersized Kelly Nabong. Nabong was also called for a deliberate foul for hacking Smith. “The Monster of the Front Court”, the duo of TNT import Joshua Smith and Kelly Williams dominated the entire 2nd quarter with 10 and 9 points respectively and cut the lead to just 5, 49-44, from as high as 19. Finally, Coach Black sent Stephenson in as they began the 2nd half and brought their 1st quarter composure back. With a legit center manning the rim and proper body to get the offensive boards, the Bolts successfully made a comeback and reinstated their double-digit lead. Along with Meralco’s scoring surge, TNT terribly reached the foul limit with 8 more minutes remaining in the third. The Bolts capitalized on Katropa’s penalty situation by taking majority of their shots from the inside. Roger Pogoy and Anthony Semerad put down some numbers before the third period expired and were able to lessen the lead to just 6, 79-73. Baser Amer, the smallest man on the floor despite his size, stood tall and fought as bravest with a quiet 27 points with more than 9 minutes to go in the ballgame while Veteran Jayson Castro struggled to get his rhythm with only 12. Katropa held the Bolts scoreless for the last 3 minutes and worst, Alex Stepheson consumed his 6th and final foul with 7 points and 13 rebounds. TNT was within 4 points, 92-88 with 1:32 remaining in the game clock. Cliff Hodge had a chance to widen the gap after taking a hard foul from Kris Rosales but the agile forward missed both of his free throws and gave a small window of opportunity to TNT with 38 more ticks left. After a 30 second-timeout, Coach Nash Racela drew a play designed for his shooters. RR Garcia found himself open at the three point area and fired without any hesitation that shrank the lead to just a single point. Meralco having a half-shot lead aimed to add at least a couple of points to it but TNT’s defense was too tight and left Jared Dillinger with a tiny space from the outside to take the shot but widely missed. Katropa grabbed the rebound, brought the ball down and let Joshua Smith took the shot under the rim. Smith got fouled and split his foul shots but somehow tied the game 92 apiece with 5.6 remaining in the game. Chris Newsome got the inbound for the last shot but missed once again. Both squads were not willing to lose and needed 5 more extra minutes to settle things out. The overtime looked to favor TNT as Meralco was already without its reinforcement who got fouled out in the latter part of the fourth. Baser Amer who slowed down a bit during the dying moments of the final quarter hit a short-ranged jumper for his 32nd point followed by Kelly Nabong for an easy 2 and lead. Kelly Williams however, dunked the ball plus a foul but missed his bonus shot. Bolts up by 1, 96-95 with less than 2 minutes. Alex Stepheson might be done for the night but his backup, Kelly Nabong stepped up when it mattered the most in the rebounding department as well as the offensive division. Nabong put back Amer’s missed-floater to increase their lead to 3, 98-95. Joshua Smith made a basket but Chris Newsome retaliated with a jump shot to retain Meralco’s 3-point margin, 100-97 with 14:3 left. Kelly Nabong got fouled and was tested at the foul line. He made 1 out of 2 though and RR Garcia once again hit a most-needed trey with 3 seconds remaining. The Bolts, because of Nabong’s split charity, still possessed a 1-point game. Kelly Nabong was once again fouled but this time made both free throws for the win after the overtime thriller 103-100. Kelly Nabong might hit the game-winner but it was Baser Amer who won the Best Player of the Game with a PBA career high of 32 points. The do-or-die game between the two teams will be held on Friday, June 9 at 7:00 p.m. where the winner will face Barangay Ginebra in the semifinals.